Sometimes we see people in our surrounding with a funny looking ear which is lumpy, wrinkled, seem as if the ear has folded on itself and remind you of a cauliflower. This puffy deformity of ear is called Cauliflower ear. Cauliflower ear is an ear injury that usually occurs among boxers, wrestlers and martial artists. Ear is made up of cartilage which gives the firm shape to it and is covered by a layer of tissue called perichondrium. Cartilage does not have blood supply and it receives oxygen and nutrients from blood vessels supplying the overlying skin and the perichondrium. 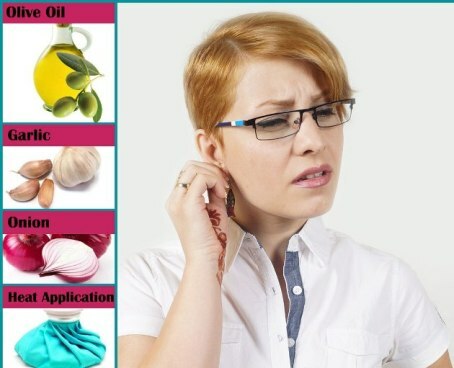 In case of injury to the external ear, the blood from the blood vessels of skin and perichondrium drip inside and forms a blood clot between the cartilage and perichondrium. As a result the cartilage does not get the nutrients and begin to die and the skin overlying the dead cartilage turns into a scar. This scarring and collapse of the cartilage causes the wrinkled bumpy look of the cauliflower ear. Below you can find the causes of Cauliflower Ear and some home remedies for its treatment. The most common cause of cauliflower ear is a hit to the ear or repeated hits to the ear that leads to hematomas, or small collections of blood that clot and block the flow of blood and nutrients. These can also occur when skin is pulled away from cartilage, the semi-rigid tissue that gives the ear its shape. Usually, cauliflower ear is related to sports injuries, but not always. Any trauma to the ear can cause it. Cauliflower ear can even be the result of an infection in the ear. Heat some garlic cloves until they are soft. Let it cool and smash one clove to put it on the affected ear lobe. Hold the clove by using napkin and keep it pressed for 15 minutes. Extract the juice from the other cloves and rub on to your ear lobe two times a day. Since garlic has anti-inflammatory properties, this treatment will help to reduce inflammation and tenderness of the ear. Cold compresses help to alleviate swelling and ease the pain caused by cauliflower ear. Place a towel dipped in cold water, an ice pack or cold cabbage leaves on the outer ear lobe. Do this for about 10 minutes three times a day. Applying pressure immediately after the injury helps to minimize internal bleeding and swelling of the tissue. Place a clean and dry cloth directly on your ear and apply pressure on the affected area. You can even keep the pressure on your ear by wrapping a bandage around your head. Keep pressed the upper part of the outer ear for 15-20 minutes. Apply arnica ointment over the affected area and wrap tightly a bandage around the head pressing the injured ear to the side of the head. Do this 3 times a day for 1 week. Arnica helps in healing and useful in treating injuries related to sports such as sprains, fractures and tears. In addition, it is helpful in treating bruises too. An effective way of preventing permanent deformity is to drain the fluid from the affected ear within 48 hours of the injury. This can be done at your doctor’s office and is a minor procedure. Avoid draining the fluid yourself as it could lead to infection and scarring. Avoid any physical activity while the ear is healing because any additional contact might cause the ear to build up fluid again. Wear the right kind of protective gear during future training to avoid any injury. Use helmet that fits suitably as one that is too loose may easily slip off your head and one that is too tight may repeatedly rub against your ear while putting it on and off. Applying petroleum jelly to the ears may help to decrease abrasion during physical activity.